Helmet Face Mask protecting you from the harsh weathers of nature. Force (TM) helmet-liner mask, 92% polyester/8% spandex blend with fleeced interior for comfort and warmth. Carhartt Force (R) fabric fights odors and its FastDry (R) technology wicks away sweat for comfort. 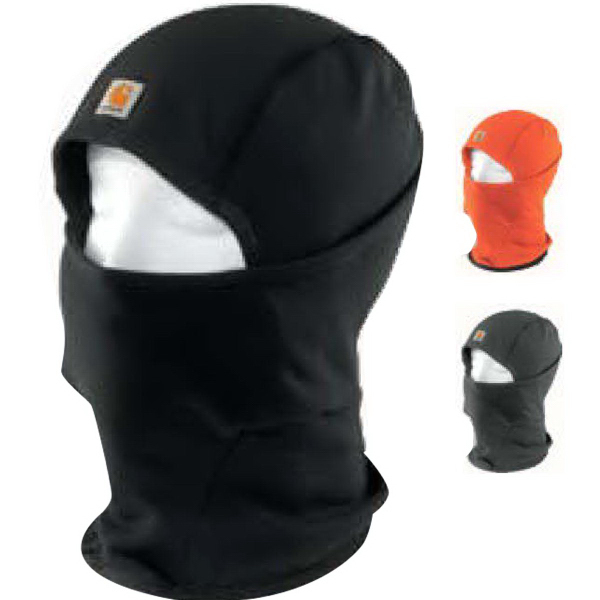 Full-facial protection that extends below the neckline. Face mask pulls down below the chin when not needed. Flat-seam construction enhances comfort. Carhartt logo printed on front. Carhartt Force (R) logo printed on back. This Force Helmet-Liner Mask protects you from a bunch of different things. I’m so glad I had this item when I went snowboarding, fishing, and just being out in the sun or snow all day long. Thanks to this product I do not have any skin cancer. This product protects your face from the harsh weather nature throws at you. Make sure you have one of these items to decrease your chance of cancer and increase the time of your life. This item also comes in a bunch of colors to fit your preference. This product is also great for trade shows, business handouts, and events.